Alexander was diagnosed with Hirschsprungs Disease following a bowel (intestine) rupture at 3-days old. After more than half of his life being spent in the hospital Alex is doing well. In an effort to secure the best care and guidance possible for Alex, his mom and dad reached out to Nationwide Children's Hospital and Dr. Marc Levitt in Columbus, Ohio. Dr. Levitt is considered one of the Worlds experts in Hirschsprungs Disease. Dr. Levitt's team reviewed Alexander's medical records and has accepted his case. Alexander is to be seen Dec. 27th in Columbus but the family is having difficulty coming up with the extra $750 +/- necessary to drive up to Ohio. Please help by giving a little or a lot. 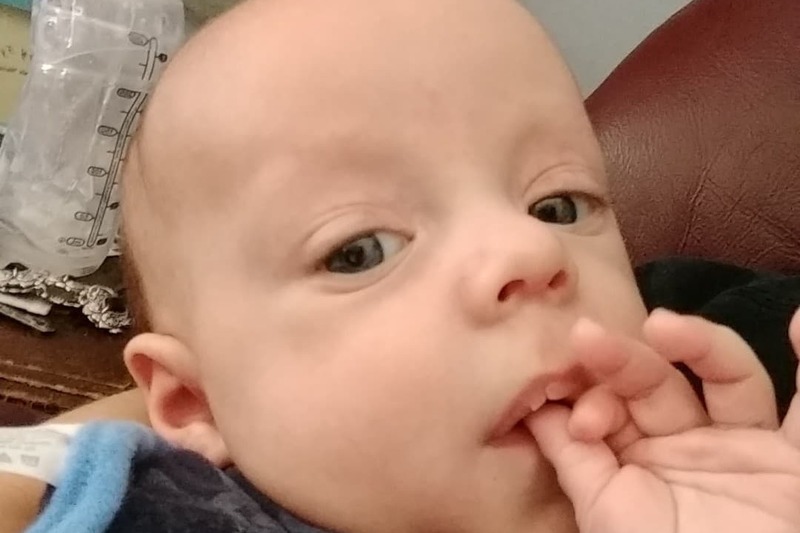 The family just needs a little help with food and gas money to get Alexander to receive the absolute best care possible at Nationwide Hospital. Please note that a friend is providing them a place to stay. This is just to help them afford the transportation costs associated with this much needed travel.